Review: Another great book in the D.D. 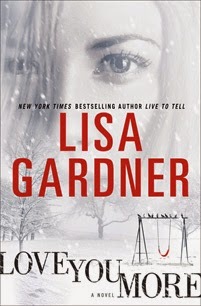 Warren series and it also serves as the first book in a new series, Tessa Leoni. Tessa's husband has been shot and killed. She's confessed to the crime and says it was self defense. Her child is missing and she claims she doesn't know where she is. Is she telling the truth about her husband's death and her child? D.D. does a good job working the case and not jumping to conclusions. Meanwhile, Tessa clearly has an agenda, but will she succeed? I really enjoyed this one and could see this being a fantastic mini-series or movie. There were a few instances where Tessa was extremely lucky (I'll avoid spoilers but there is an incident in the police car that required...let's just say several things to go exactly as planned).